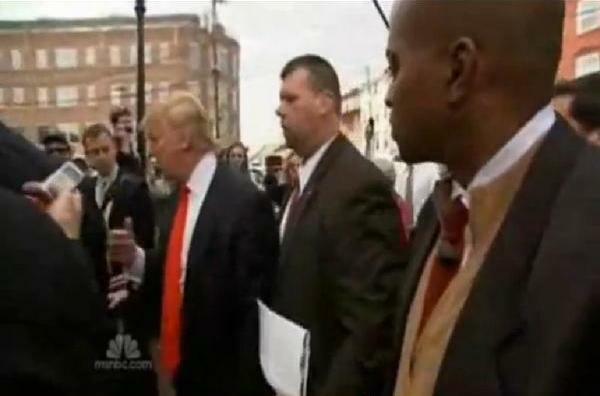 Second NBC News reporter held “the document” on day super tornadoes stole headlines; Timing coordinated by White House? 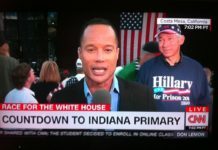 (1776 Channel) The image painted by NBC News of Savannah Guthrie and Ron Allen as close-to-the-action correspondents who scoop the competition may be more than coincidence. 1776 Channel subsequently issued several requests for comment from NBC News in New York about Guthrie’s claims: What did Guthrie see and feel, and where did she obtain the piece of paper she documented with two photographs and then presented as proof of the COLB’s existence? 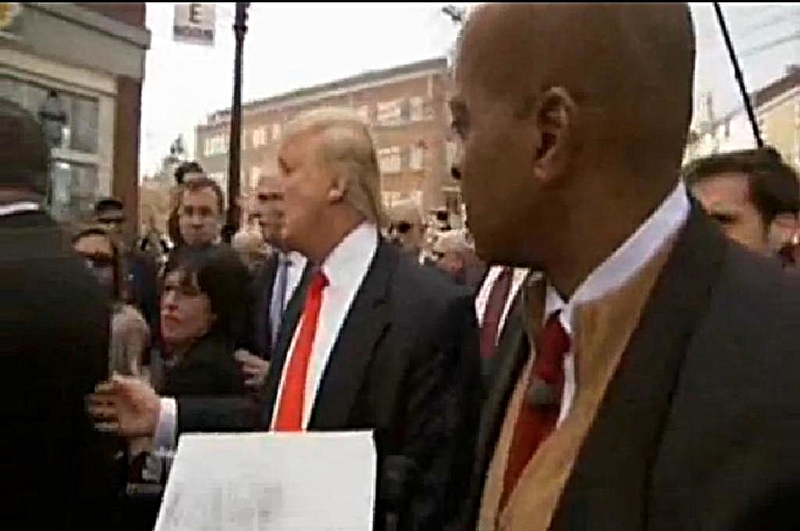 And what was it exactly that reporter Allen waved at Trump? 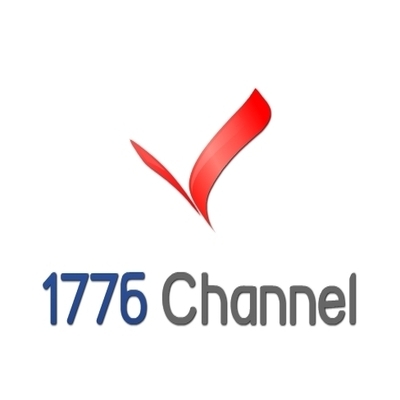 As of this writing, 1776 Channel’s queries to NBC have not been returned. Also see: Savannah Guthrie: Another NBC credibility disaster? The White House roll-out of the PDF image that the Obama administration apparently anticipated would finally satisfy conservatives‘ demands for proof that the President was born in Hawaii, as claimed, happened on the morning of Wednesday April 27, 2011. This was the second day of a three–day super tornado outbreak that forecasters feared was becoming more dangerous and was likely going to strike Alabama Wednesday afternoon. By late afternoon the storm system was wreaking havoc, destruction, and death across the southeast. The Tuscaloosa-Birmingham EF-4 tornado that killed 65 people was on the ground from 4:43 p.m. until 6:14 p.m. Central Time, NOAA records show. “NBC Nightly News with Brian Williams” was broadcast from 5:30 p.m. until 6 p.m. Central Time, revealing that the deadly tornado was tearing through Alabama throughout the newscast. April 2011 is ranked by NOAA as the “most active tornado month on record”. An estimated 316 people died in 29 tornadoes that spooled across Alabama and nearby states on the same day the PDF image went live on WhiteHouse.gov. 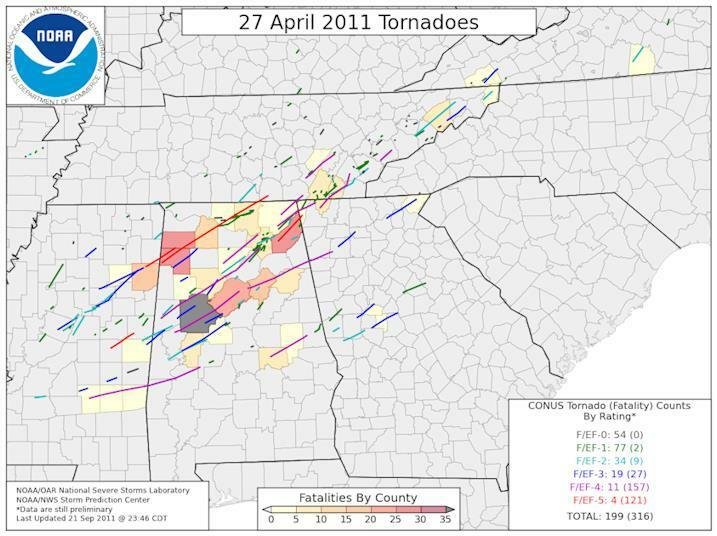 Tornado tracks from the April 27, 2011 super outbreak which killed an estimated 316 people. 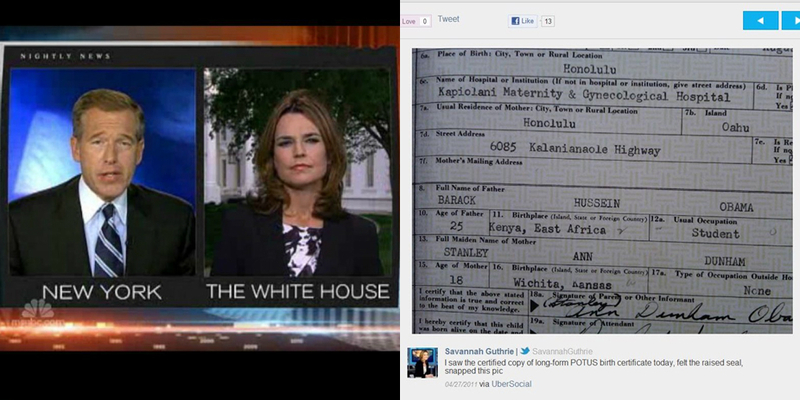 On the morning of April 27, 2011 a PDF image the Obama administration claims is a scan of President Obama’s Hawaii “Certificate of Live Birth” was released at WhiteHouse.gov. On April 26, the day before the White House released a PDF image of the COLB, weather forecasters predicted a seventy to ninety percent chance that significant tornadoes would strike the Alabama region the following day on April 27. Dr. Jerome Corsi, noted researcher and author of at least one unauthorized Obama biography, was scheduled to release his newest, most controversial and highly anticipated Obama bio sequel, Where’s the Birth Certificate? The Case that Barack Obama is not Eligible to be President. within a matter of weeks. Did the White House inner circle upload the COLB file in a frantic last-minute rush, hoping to preempt revelations contained in the imminent publication of Dr. Corsi’s book? If that was the official plan, it was doomed to failure from the moment the PDF went live at WhiteHouse.gov. The uploaded PDF COLB immediately attracted the attention of forensic document experts who suspected it might be a phony, easily created with computer software applications. Closer inspection led to the conclusion that the file was digitally created. The file had been released without first “flattening” the digital layers comprising the image — an amateurish mistake which immediately caught the attention of Adobe Illustrator professionals around the world. Lt. Mike Zullo, lead investigator with the Maricopa County, Arizona “Cold Case Posse” recently told 1776 Channel that his unit has obtained an affidavit from certified document examiner Reed Hayes. 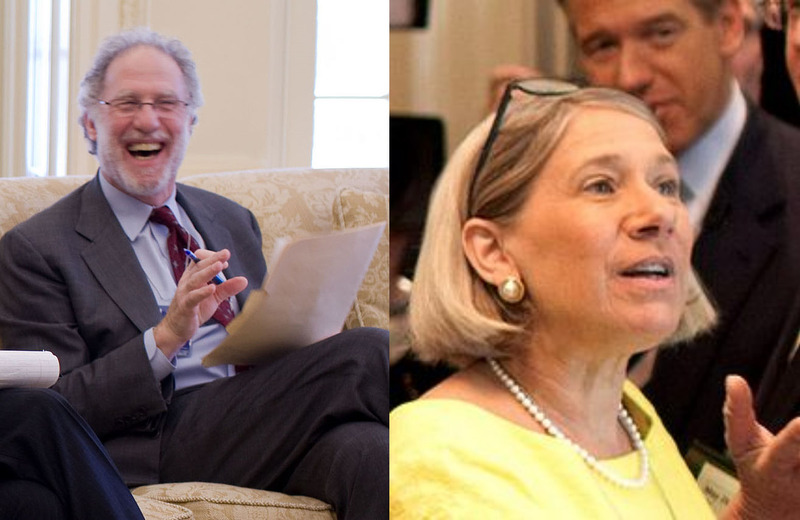 Hayes has in the past been an expert witness for Perkins Coie, the law firm hired to defend President Obama from challenges to his eligibility, according to Zullo. Reed concluded that the PDF image is “entirely fabricated” says Zullo. White House Counsel at the time of the PDF release was former Perkins Coie law partner Robert Bauer, identified in late 2008 as one half of Washington’s newest “power couple” by a Newsweek roundup called Power 2009: The New Lineup in Washington. The other half was Anita Dunn who served a brief stint in the Obama White House as Communications Director from April to November 2009. Bauer, who served in the Obama Administration from January 2010 to June 2011, left the White House two months after the PDF Hawaii “Certificate of Live Birth” was posted at WhiteHouse.gov. During Dunn’s tenure as White House Communications Director she kept tight reigns on messaging that emanated from the Oval Office. While working at the Obama White House, Dunn declared war on Fox News and revealed her admiration for arguably the most heinous dictator in modern history. Dunn famously told a group of high school students that Mao Tse Tung was one of her “favorite political philosophers”. She then cited Mao on how best to “fight your war” according to a report in the Wall Street Journal. After Dunn stepped down and was replaced by Dan Pfeiffer she “became an outside adviser to Obama’s White House“. While inside the White House Dunn had come in contact with major media players, including Brian Williams. From outside the White House, Dunn continued to maintain close ties with the news media. Dunn is a senior partner at “strategic communications firm” SKDKnickerbocker. In 2010 Dunn hired ABC News Executive Director of Communications Emily Lenzner, who had also worked inside the White House under George Stephanopoulos, Bill Clinton’s Director of Communications. “Since leaving her White House position, Dunn has visited the White House 100 times” writes the Daily Beast, citing the New York Times. Bauer’s former law firm Perkins Coie, , which has nearly 1,000 lawyers at 19 offices across the United States and Asia, dispatched a representative to Hawaii to retrieve two certified copies of the long-form Hawaii Certificate of Birth. Attorney Judith L. Corley was the attorney sent to meet with Hawaii Department of Health officials reported the Washington Post. The Hawaii Director of Health at that time was Loretta Fuddy. Corley reportedly flew to Washington D.C. where she hand-delivered the documents to the White House. Loretta Fuddy later died in mysterious circumstances after a small plane she was aboard ditched in the Pacific Ocean on December 11, 2013. Fuddy was the only fatality among the nine souls aboard the Cessna Caravan 208B. To date, NBC News is the only media organization known to have been granted access to the two allegedly official copies of President Obama’s Hawaii Certificate of Live Birth. These documents were reportedly delivered to the White House by law firm Perkins Coie. 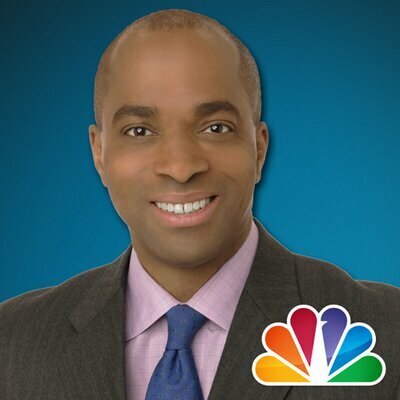 NBC News reporter Ron Allen is the second reporter at the embattled network to be portrayed by “NBC Nightly News with Brian Williams” as someone who has touched a copy of President Obama’s alleged long-form Hawaii Certificate of Birth. 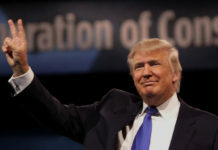 On April 27, 2011, the day the COLB PDF was posted to the White House website (coinciding with brief remarks made by President Obama), Allen attempted to show Donald Trump a white piece of paper following the conclusion of Trump’s New Hampshire press conference. 1776 Channel has been unable to determine how one of only two “official” scanned copies of President Obama’s Certificate of Live Birth made its way into the hands of an NBC reporter in New Hampshire less than twenty-four hours after the documents were allegedly hand-delivered to the White House following a long airplane ride from Honolulu. Unless the copy Ron Allen tried to present to Donald Trump had been subsequently flown from Washington D.C. to New Hampshire, Allen would likely have possessed a document that had been transmitted via fax or internet. Allen may have simply printed a copy of the PDF image that was posted at Whitehouse.gov. NBC News editors and script writers might have then spun the clip as “evidence” that Trump appeared disinterested in examining “proof”’ that the White House was indeed in possession of an authentic document. It appears that NBC News was trying to prove to its viewers that the PDF image released by the White House was authentic and simultaneously discredit Trump’s skepticism. 1776 Channel’s investigation into NBC News’ representation that President Obama’s Hawaii Certificate of Live Birth is authentic reveals a complex web of participants working behind the scenes to deliver a unified message. Reporters, camera crews, editors, and ‘credible’ sounding anchors were able to cobble together a news segment that likely convinced the casual television viewer that any lingering doubts about President Obama’s birth records had finally been laid to rest. Any potential contributions to that message made by the attorneys and communications professionals who circulate between the White House, the private consulting sector and the broadcast networks remain unknown. Previous articleSavannah Guthrie: Another NBC credibility disaster?